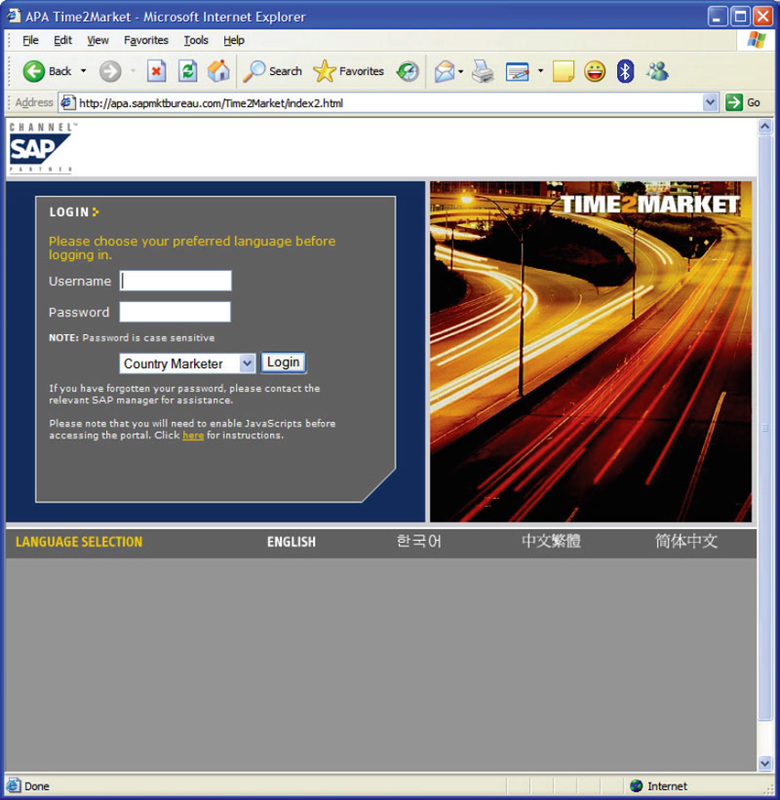 SAP was looking to create a marketing portal to support their marketing managers and partners in the Asia Pacific & Japan (APJ) region which includes 11 countries. The portal was a repository for advertising materials. 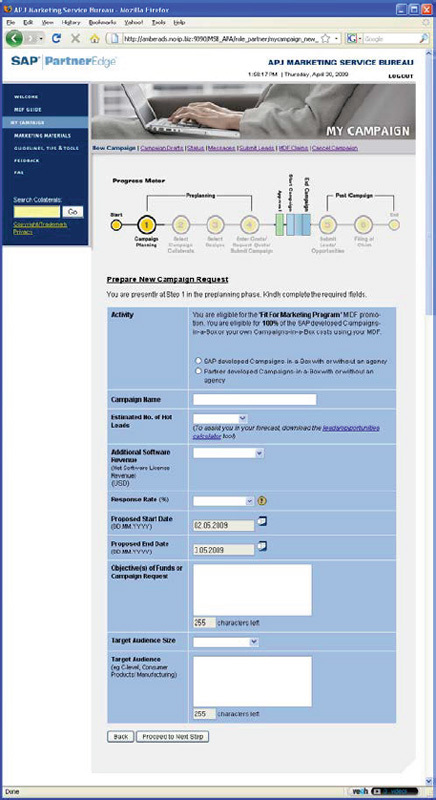 It enables partners to make use of funds to run marketing campaigns while being supported by their in-country marketing managers. 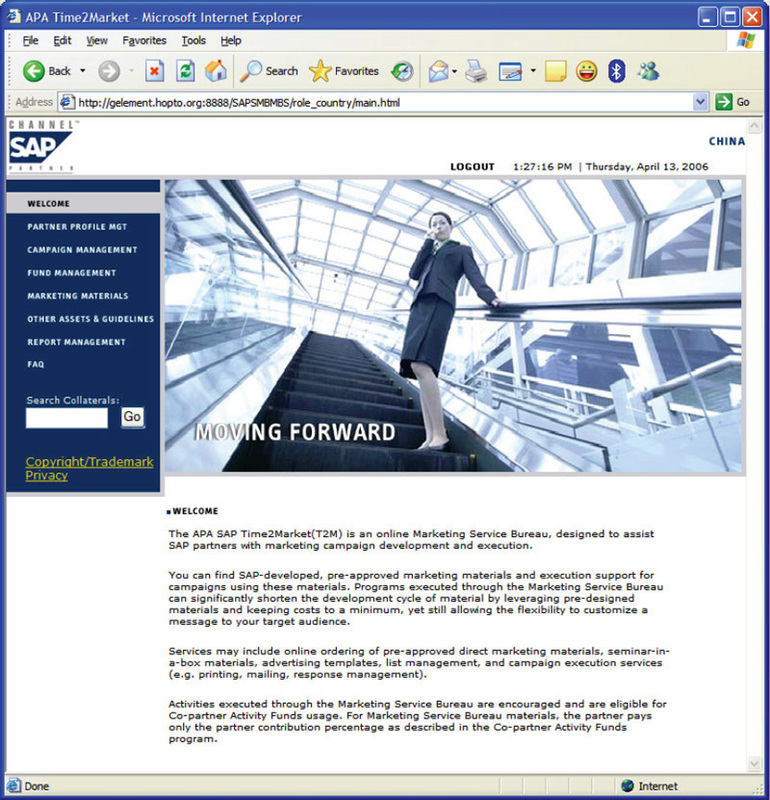 We worked with SAP for about 4 years before there was a change in management. Our involvement in the project ended shortly after.